The contents page, five pages of text and a map from "Summa Venâriva". Also available, a copy of the PDF product index. An extract from Atlas Keléstia SHKN-J5 (Ôrgetkin) zoomed in at 200%. This is a PNG file, rather than a PDF file, which is the format of the actual product. 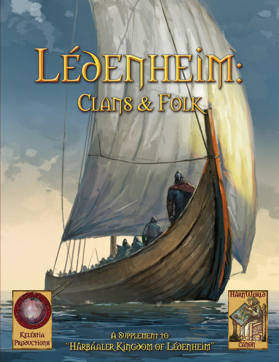 This fifty-page supplement includes descriptions of the forty-four great clans of the kingdom plus seven other prominent clans. Profiles are also given of forty-eight important and interesting folk, including all members of the royal family and of the royal council plus other military leaders, ship captains, tribesmen, foreign emissaries, priests, mystics, entertainers, spies and thieves. The full product is available for purchase here. 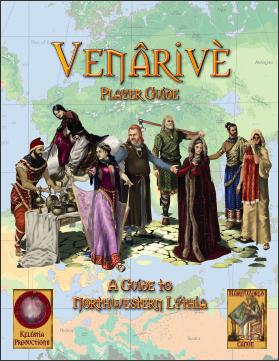 This free module - while designed as a player guide - also provides an excellent introduction and overview of the northwestern region of Lýthia, known as Venârivè. Venârivè is an expansive region where for thousands of years peoples, religions, and nations have developed, traded, and clashed. 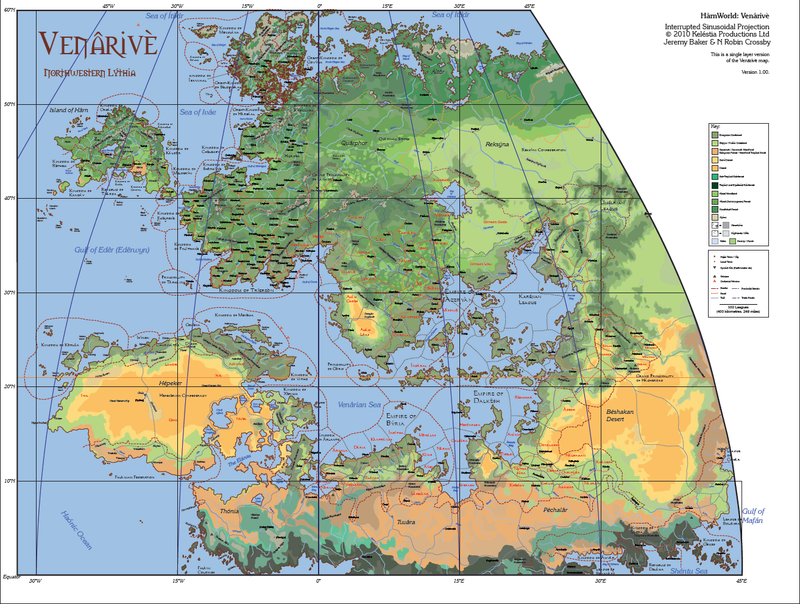 It includes all the lands around the Venârian Sea and the regions which lie to the north and west, including the powerful empires of Ázeryàn and Dalkésh, the kingdoms of Tríerzòn and Shôrkýnè, and the lesser states of Hârn and Iváe. 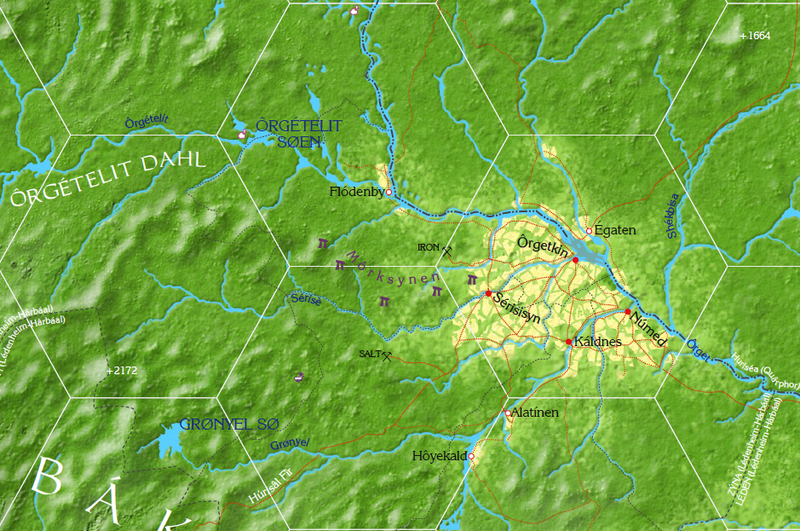 The full Venârivè: Northwestern Lýthia module describes Venârivè in considerable detail. PDF; 4 pages, colour, illustrated. 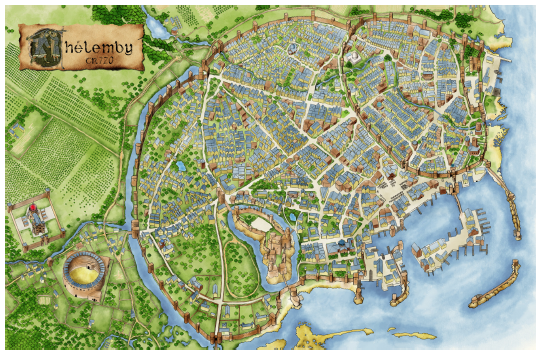 PDF; 2 pages, including a poetic map of Chélemby. PDF; 3 pages, including extracts from Chélemby City.